What happened in Slovakia before the elections? Just a big scandal! What happened in Slovakia sounds like a scenario of a political movie: a private investment company, a bench of political leaders, a backdrop of national elections opposing the outgoing right wing party and the leftist populist candidate, and a secret file released on the Internet. To me the most hurting is that the corruption operation took place during the integration of Slovakia into the EU. What was supposed to be a democratization and modernization process was completely diverted to serve the interest of the dominants. Open your eyes people, “Europeanization” is not what we have been told… Free market economy, democracy, human-oriented values, transparency and accountability, consumer protection… Where are all these things and how can we trust European institutions? And above all, how can we trust the political class?… Well to that second question, Slovaks already answered with indifference. No one is really surprised by the scandal, but still the governing party stepped down. So what are exactly the Gorilla file and the Penta affair? For two years, the dossier claims, politicians of all stripes were pocketing kickbacks from members of an influential private investment group. In the wall of the apartment where the clandestine meetings took place was a listening device planted by a secret agent intrigued by why so many high-level visitors were dropping in. The “Gorilla” files — mysteriously posted online by an anonymous source in December and said to be based on the wiretaps — have rocked the already-raucous world of Slovak politics ahead of elections Saturday. The fallout looks certain to propel populist former leader Robert Fico back into power, even though he himself has been implicated. Prime Minister Iveta Radicova’s Slovak Democratic and Christian Union, whose free-market reforms earned the country NATO and EU membership, looks likely to be hit hardest. The party was in power in 2005-2006 and then-prime minister Mikulas Dzurinda is now foreign minister and party chairman. Polls indicate the party will win only about 5 percent, despite overseeing an economic boom driven by solid growth, strong exports and the implementation of much-needed pension reforms. The early elections were called when the government fell after failing to approve Slovakia’s contribution to an EU bailout fund. The left-wing Fico, who ruled from 2006 to 2010, says he is innocent and doesn’t recall the meetings he was said to have attended, adding that he couldn’t have influenced any decisions because he was in opposition. One big winner in the scandal? Fruit vendors. Angry protesters, some in gorilla masks, have taken to the streets in numbers not seen since the final days of Communism to pelt Parliament and government offices with showers of bananas. In Prague, the capital of the neighboring Czech Republic, large painted gorilla footprints have been splashed along the streets leading up to Penta’s offices. “You can’t really call it a proper election campaign — no programs or goals of political parties have been discussed,” said analyst Miroslav Kusy. “It’s all about these negative issues.” He said Slovaks — for whom “all politicians are just thieves” — could turn out in record low numbers of just 40 percent in a sign of their anger. The spy agency — SIS — has refused to confirm the file’s authenticity. SIS heads are suspected of sweeping the wiretap findings under the carpet; police are now investigating following the anonymous leak. The group’s Bratislava spokesman, Martin Danko, says the scandal has “undoubtedly negatively hit our reputation in Slovakia” but claims business has not been affected. In Slovakia, the group owns a health insurance company and two banks and has invested heavily in privatized firms. Penta’s initial capital originates from the business that the two founding members, Marek Dospiva and Jaroslav Haščák, conducted in China. In the early 1990s, during their studies in Beijing, they began importing Chinese textiles to chain stores in Czechoslovakia. Back in Bratislava, Haščák and Dospiva teamed up with their future partner, Jozef Oravkin, and began trading on the newly expanded stock exchange. At the end of 1993, they founded Penta Brokers and acquired two new partners – Martin Kúšik and Juraj Herko. All of the Penta partners had been schoolmates during their studies in Moscow and Czechoslovakia. The business name, Penta, is a tribute to the five original partners who founded the company. In 1999, Penta was restructured into a holding with its mother company in Cyprus. In 2005, Penta was changed its structure to that of a standard private equity company. In 2005, Penta decided to diversify its portfolio. Apart from its buyout business, Penta decided to invest in real estate. 14 March 2012. He is the man who shook Slovakia. For years, Thomas Nicholson, a Canadian investigative journalist living in Slovakia, tried to publish the “Gorilla” file about corrupted politics in the country. No one would pay attention to it, until the beginning of this year when the documents he had received from a secret service agent surfaced on the Internet. The file had a major impact on the March 10 general elections. “Politicians will have more and more difficulties to continue practice corruption”, says Nicholson, when we met in a Bratislava café on the wake on the election. Some people say that “Gorilla” pushed more people into social-democratic leader Robert Fico’s arms. What’s your opinion on Fico coming back to power? I am surprised by how little effect the Gorilla file has had on these elections. The expectation was lower ballot participation because people would lose faith in democracy; the right wing would be absolutely destroyed, because this corruption scandal primarily affects them. They were in power when it happened, but in fact we have had the highest turnout since 2002 (60%). The right was punished but they got a second chance. There are many positive things about these elections. First of all, the Nationalists did not get back into Parliament. And finally we have Fico as a single party government that will have no excuses, no Nationalists or Populists to blame for corruption or for his failure. It’s a good recipe for a better government than the last time he was in power [2006-2010]. I think all in all, these elections, even though they were bad news for the Right, are about as good as what we could have hoped for. People were tired of instability, stupid arguing and inability to make compromises. Gorilla has not much to do with it in the end. People were tired of instability. Fico himself is not an angel but compared to the right wing he represents stability and that was what people were looking for. Fico is apparently mentioned in the Gorilla document. Do you think the investigations will continue during the second Fico government? Fico is not directly threatened by Gorilla, but his party is. Obviously his secretary was in the incriminated flat [in which politicians were meeting members of the Penta financial group and which was wire-tapped by the secret service. The transcripts form the material of the Gorilla file], he accepted money from the Penta financial group to finance his party Smer. Whether he will support or not the investigation, that is very difficult to say. There is lot of public anger about this file, and this anger goes all across the political spectrum. If he wanted to gain political points he would appear to support the investigation. But we know how politics works. He can easily stop it. This file was buried in 2006 by Josef Magala, the head of the Slovak secret service SIS, when police got it under Fico they absolutely failed. So he is not probably going to be enthusiastic about the investigation. Do you believe that thanks to the revelation of such a scandal Slovakia will become a more democratic country? I do. It might sound naive, but I have concrete reasons to think that. I don’t think it’s possible anymore for any financial group to do business with the government or politicians, in the future these connections will be very politically fraught with danger for any politicians to have. As a result of this Gorilla investigation there will be a lot of initiatives that have started focusing on transparency and clarity in politics. I am a good example. I will probably leave journalism to set up a website which will be a database of connections between politics, financial groups and organised crime. It will be publicly available to voters, especially when the next election comes around. All kinds of these initiatives will come up in next four years. The public has been empowered by knowing how corruption works, it’s a knowledge about oligarchy, politicians, political nominees, how they work. Important is that people know about these connections. You have no governmental groups providing this kind of information. All that changes the environment that we had before. Politicians will have more and more difficulties to continue to practice corruption. Your book about Gorilla has been banned by a tribunal in Bratislava. But you’ve started publishing some fragments of it anyway in the newspapers. The Penta group, which is considered as a financial shark swimming in the Central European waters, has pressed charges against you. Do you think you can win against them? The suit against me is 500 pages long. But at the same time they have no foundation to stand on. These people, when they can’t buy someone or scare someone, they run out of ideas because they don’t know anything else. Besides the individual discomfort of being threatened by these people, I don’t need money, I don’t need fame, anything really. And I don’t have anything to lose. As Janis Joplin said a long time ago: freedom’s just another word for nothing left to lose. I don’t really care about their lawsuit. I have the publishing house Petit Press, who represent me. Whether the court will be for me or against me doesn’t make much difference, because Penta lost in the Court of public opinion and I don’t think anybody is afraid of them anymore. So whatever they win in terms of financial squeeze of my double-mortgage house, they are welcomed to it. Cicero Berlin puts the #crisis into perspective: what would it look like if it was happening in #Germany? Let’s look at the hypothesis that the Hans Böckler Foundation put together with the help of the Institute for Macroeconomic Policy (IMK) in order to understand how the pain of Greek austerity might feel for us in Germany. Eric Hansen’s monthly salary would shrink from €3,250 to €2,760. His health insurance, in contrast, would increase by €530 per year, while VAT would go up from 19 to 22 percent. Hansen, who likes to smoke a cigarette in the evening with his beer, will have to pay a tax increase on alcohol, cigarettes and petrol of 33 percent. A tense mood prevails among Hansen’s colleagues. In the public sector, the government announces, 460,000 jobs will be cut. German pensioners will have to reckon on €1,000 less a year. This idea is controversial, considering the protests that the announced freezes have already sparked in Germany. #Greek crisis: reminder of Edmond About’s writings by Die Zeit. 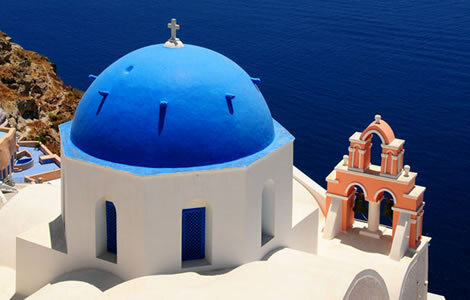 Greece is the only known example of a country that has lived in bankruptcy since the day that it was born. If such a situation were to prevail in France or England for just one year, we would see terrible catastrophes. Greece has peaceably lived with bankruptcy for more than 20 years. All of the country’s budgets, from the very first to the one just out, have been in deficit. In civilised countries, when the sum of revenues is not sufficient to cover the budget for expenditure, the difference is made up by an internal loan. However, the Greek government has never tried to obtain such a loan and any attempt to do so would have been in vain. The powers that protect Greece have been obliged to guarantee the solvency of the Greek state so that it can negotiate with external lenders. But the loans thereby obtained have been squandered by the government without any benefit to the country: and now that this money has been spent, the guarantors have no other option but to have the good grace to pay the interest, which Greece cannot reimburse. Today, the country has given up all hope of paying off its debts. And if the three powers continue to pay indefinitely in its stead, Greece will not be much better off because its outgoings will always be greater than its income. Greece is the only civilised state where income tax is paid in kind. Money is so rare in the countryside that there was no option but to adopt this method of collection. The government initially appointed tax collectors who courageously set about their task, but thereafter failed to fulfill their obligations to the state, which was powerless to constrain them. Now that the state itself has taken charge of the collection of tax, the costs have proved considerably greater while the income obtained has barely increased. The taxpayers have followed the example of the tax collectors: they do not pay. Wealthy property owners, who wield significant influence, succeed in frustrating the state by bribing or intimidating its agents. The agents, who are poorly paid and may be dismissed at every change of minister, do not defend the interests of the state as they do in our country. Their sole aim is to cultivate the rich and powerful and to line their pockets in the process. As for the small property owners, who are called on to pay for their wealthy neighbours, when they are not protected by their own poverty, they have powerful friends to ensure that their goods may not be seized. In Greece, the law is not the intractable entity that we know. Tax collectors are careful to listen to the taxpayers, sure in the knowledge that when formality has been swept aside by brotherly feeling, it will be easy to reach agreement. The Greeks know each other very well and like each other a little. But they have virtually no acquaintance with the abstract being we call a state, which they do not like at all. Finally, tax collectors are prudent: they know they should avoid exasperating their countrymen, that there are bad stretches on the road home and that accidents can happen. Nomadic taxpayers (shepherds, woodcutters, coalmen and fishermen) have made it a point of honnor to avoid paying any tax. They believe, as they did in the time of the Turks, that their masters are their enemies and that a man’s most noble right is the right to hold on to his money. It is for this reason that until 1846, Greek ministers of finance produced two revenue budgets. One, the current fiscal year budget, indicated the sums the government ought to receive; the other, the administrative budget, indicated what it hoped to receive. And as finance ministers are more prone to errors in favour of the state when calculating probable resources, they also had to produce a third budget detailing the sums that the government was sure to collect. For example, in 1845 for the produce of olive trees on public land, which is regularly collected from private taxpayers, the minister noted the sum of 441,800 drachma in the budget for the current fiscal year. He was hoping (that is to say in the administrative budget) that the state would in fact receive 61,500 drachma. However, this hope was in itself presumptuous because in the preceding year, the revenue to the state generated by this item did not amount to 441,800 drachma, or even 61,500 drachma, but only 4,457 drachma and 31 lepta, that is to say approximately one percent of the amount due to the state. In 1846, the minister of finance decided not to draft an administrative budget and the custom fell into disuse. Greece’s outgoings are as follows: the servicing of public debt (both internal and external), the civil list, funding for parliament and government ministries, collection and administration costs, and miscellaneous costs. Loans are only granted to governments that are well established. Loans are only granted to governments that are believed to honest enough to honour their commitments, and loans are only granted to governments that lenders want to maintain in office. Nowhere in the world does the opposition lend to the government. Finally, lenders can only grant loans when they have the necessary funds themselves. Well over a hundred and fifty years later, Die Zeit repeats the truths written by the French visitor to Greece Edmond About, who described the lack of communication in the Greek government and the abnormal number of employees in an obsolete state. The Brussels authorities will do everything they can to save Greece, assures Die Zeit, but these reforms will be futile and ineffective, as Greece has not built a truly modern state structure. The concept of “state-building” is familiar primarily in regions devastated by war. Now, though, the concept applies to a country inside the European Union. For the state that the Union wants to shield from the threat of bankruptcy does not exist. – Greece has never been in a situation where a normal Country can borrow money but lenders still managed to give it a lot. That really questions the work and intelligence of the financial partners. Mistakes have been made..
– A real State framework is fundamental in an economy and the weakness of the Greek State is probably the most important element explaining today’s situation. I didn’t need to read this article to be convinced of that. But it’s pleasant to see a German newspaper emphasizing it, especially when the German government is one of the main supporters of giving the tax collection control (main State’s prerogative) to a European entity. February 14th, people marched against the FPI. In order to protest against radical islamist violence toward minorities, more and more people take to the street. Someone has been seen brandishing a pig plush and a sign hostile to FPI. Policemen declared that they can’t protect the protesters from the Islamic Defenders Front known locally as FPI, a vigilante group known for raiding bars and nightclubs, to flourish over the last decade. In more recent times, the FPI has expanded to target religious minorities. The group has forced the closure of churches in West Java and was allegedly at the center of a brutal mob attack on a minority Islamic sect, the Ahmadiyah, that ended in the fatal beating of three of its members in February 2011. The shift in tactics and increased focus on religious minorities has spurred a smattering of citizens to finally speak their mind. President Susilo Bambang Yudhoyono remains passive regarding the situation. Iceland: the country which protected its people against the banking system! Icelanders who pelted parliament with rocks in 2009 demanding their leaders and bankers answer for the country’s economic and financial collapse are reaping the benefits of their anger. Since the end of 2008, the island’s banks have forgiven loans equivalent to 13 percent of gross domestic product, easing the debt burdens of more than a quarter of the population, according to a report published this month by the Icelandic Financial Services Association. “The lesson to be learned from Iceland’s crisis is that if other countries think it’s necessary to write down debts, they should look at how successful the 110 percent agreement was here,” said Thorolfur Matthiasson, an economics professor at the University of Iceland in Reykjavik, in an interview. “It’s the broadest agreement that’s been undertaken.” Without the relief, homeowners would have buckled under the weight of their loans after the ratio of debt to incomes surged to 240 percent in 2008, Matthiasson said. Activists say the banks should go even further in their debt relief. Andrea J. Olafsdottir, chairman of the Icelandic Homes Coalition, said she doubts the numbers provided by the banks are reliable. “There are indications that some of the financial institutions in question haven’t lost a penny with the measures that they’ve undertaken,” she said. As a precursor to the global Occupy Wall Street movement and austerity protests across Europe, Icelanders took to the streets after the economic collapse in 2008. Protests escalated in early 2009, forcing police to use teargas to disperse crowds throwing rocks at parliament and the offices of then Prime Minister Geir Haarde. Parliament is still deciding whether to press ahead with an indictment that was brought against him in September 2009 for his role in the crisis. A new coalition, led by Social Democrat Prime Minister Johanna Sigurdardottir, was voted into office in early 2009. The authorities are now investigating most of the main protagonists of the banking meltdown. Iceland’s special prosecutor has said it may indict as many as 90 people, while more than 200, including the former chief executives at the three biggest banks, face criminal charges. That compares with the U.S., where no top bank executives have faced criminal prosecution for their roles in the subprime mortgage meltdown.